Jean Noel Lefebvre is an electronics engineer with a strong interest in how people interact with the electronic systems. A true outside-the-box thinker, started his company, Ootsidebox, right in the middle of the YouFactory fab lab in Lyon, France. He knows where creativity lives and is willing to show it to you. Meet Jean Noel Lefebvre. Engineers Tomas Diez and Guillem Camprodon are leading the Arduino-based Smart Citizen project at Fab Lab Barcelona. 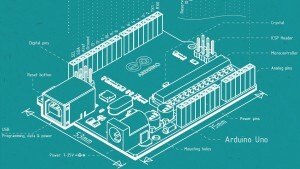 In this video, they give us a tour of the lab and tell us about how they’re using the Arduino environment to measure and collect data with the Smart Citizen kit.